Southern cuisine is a delicious mosaic of fresh tastes and textures; homegrown peaches, still warm from the sun…buttery cornbread served from an iron skillet…fresh, pink shrimp on a bed of cheesy grits…sweet and crispy benne wafers. The Charleston Dining Collection by NorthCape International is the perfect setting for low country dining. 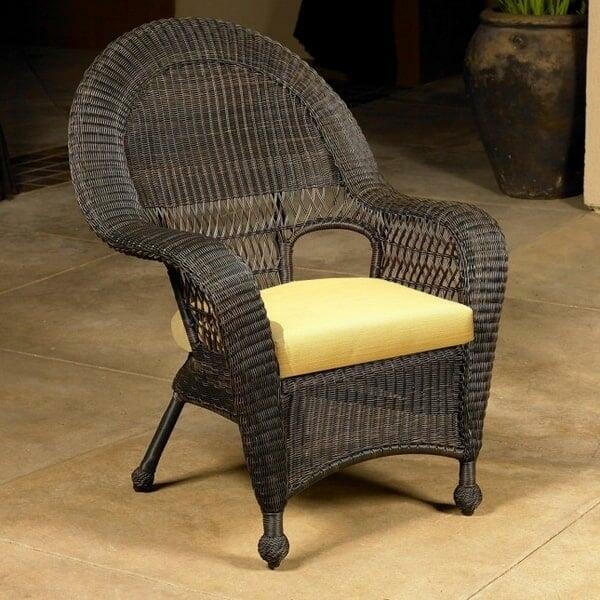 The wide arms, open weave and rounded back of the arm chairs contribute to its simple, yet eloquent design; the UV treated resin wicker woven over a commercial grade, rust free aluminum frame provides exceptional quality. This collection is offered in three finishes; Espresso, Walnut and Willow. Customize it further with your choice of designer fabrics from NorthCape International’s extensive selection.